No job gives me the variety that working with children does and I feel honored to be part of children's lives. 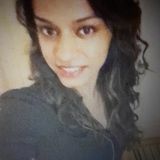 Want to connect with Harneetkaur? I am looking to work for Supervisor role at Child Care sector. I have been working for almost 4 years now and working with children has made me realize that it is definitely rewarding. With my experience I will be able to oversee and lead the work of all staff at the center and be involved in planning, implementing to supervising all activities at the center to meet the physical, emotional, intellectual and social needs of children in the progam.